Thanks to a tip off- a quick spin down the road to see the Sperry arrive in Portlaoise and reverse into the yard. The high-tech bit! 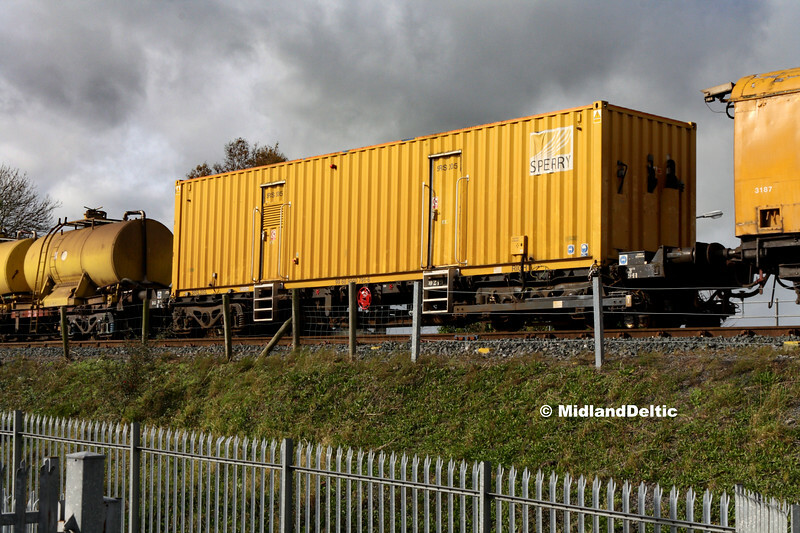 Mounted on flat 30219 is the container with the Sperry measuring equipment; it carries an EVN number which appear to apply to the vehicle as a whole, with a "hidden" PW stock number of 791 incorporated! The flat can be seen to have modifications on the near bogie for it's role.